Welcome to December, the time of year when I’m in the kitchen coming up with non-alcoholic drink recipes for my family and friends. We love to entertain and to go out and for us it’s important to have choices for the non-drinking people who we are hanging out with. If you’re having a gathering, may I PLEASE urge you to serve something other than coffee or water to your guests who don’t drink alcohol. It sets a good vibe and makes everyone feel included. 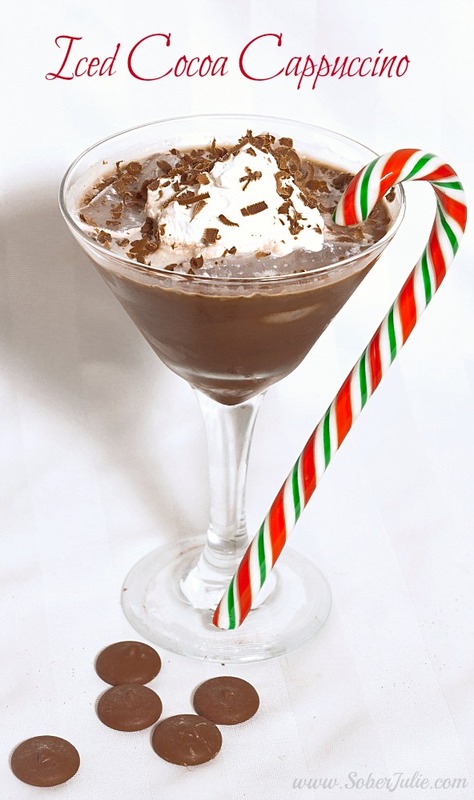 Place coffee, ice cream and chocolate syrup into a blender, cover and blend on medium-high until smooth. Place coffee, ice cream and chocolate syrup into a blender. Cover and blend on medium-high until smooth. 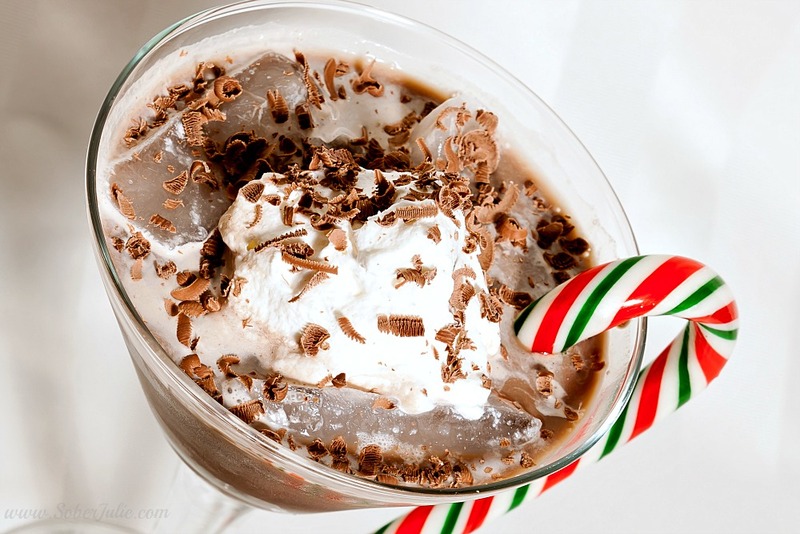 op with whipped cream and sprinkle grated chocolate flakes on top. wish I read this last night, that would have been an awesome option. I do have a coffee bar and a hot cocolate bar at our openhouse and lots of non alco drinks but this would have been a perfect option.